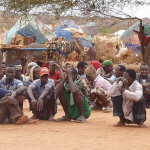 Nearly 50% of the Somalia population is in urgent need of medical care, food, agriculture, and nutrition assistance. Due to a combination of drought, economic conditions, and war, millions of families, women, and children do not have access to food and are unable to grow crops due to the present conditions. 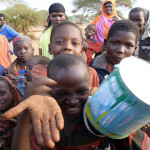 In addition, the drought has created severe food shortages in Ethiopia and Kenya which are growing increasingly worse. We believe that organizations that are deeply rooted in local communities are often in the best position to provide long-term support for disaster victims. By funding the relief efforts of local organizations, donations to this fund have the potential to build stronger disaster-response capacity so that these organizations are better equipped to face future disasters. Adar Foundation will post reports about how funds have been used and will email these reports to donors and subscribers.